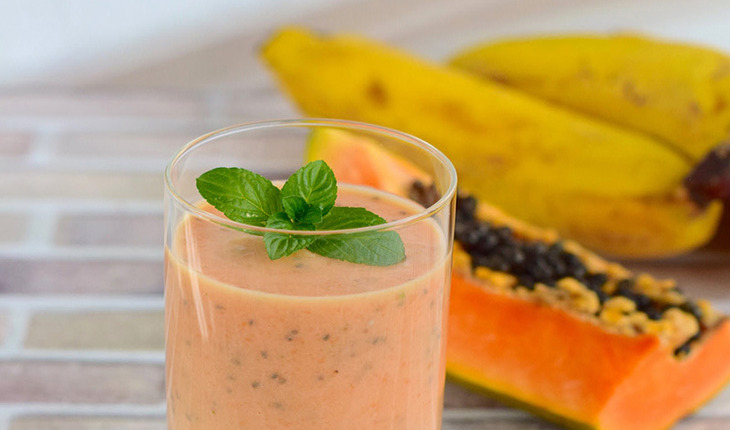 This lovely refreshing smoothie is a simple blend of papaya, banana, and yogurt – and makes a satisfying breakfast or any-time-of-day treat. Mix in frozen or fresh berries for a variety of flavors. Put all the ingredients in the blender. Put the lid on tightly. Turn the blender to a medium setting and blend until the ice is chopped and the mixture is smooth, about 1 minute. We love topping with a tablespoon of shredded coconut.